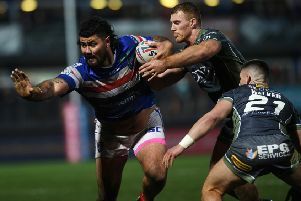 COOK ISLANDS international Tinirau Arona is preparing for the Super-8s not knowing who he will be playing for next year, but insists Wakefield Trinity is “home”. Picture by Allan McKenzie/SWpix.com - 11/05/2018 - Rugby League - Ladbrokes Challenge Cup - Huddersfield Giants v Wakefield Trinity - John Smith's Stadium, Huddersfield, England - Wakefield's Joe Arundel is tackled by Huddersfield's Jake Mamo. He said: “For me it is just about enjoying my footy, enjoying my time wherever I play, taking every opportunity that’s in front of me and doing my best for the team. “I’ve said it all year, my family is happy here, this is home. It’s my third year here and I believe the last few years we have built something at this club. “Just before I arrived they played in the million pound game so to be looking up the table and heading in the right direction, I like to say I’ve played a bit of a part in that. 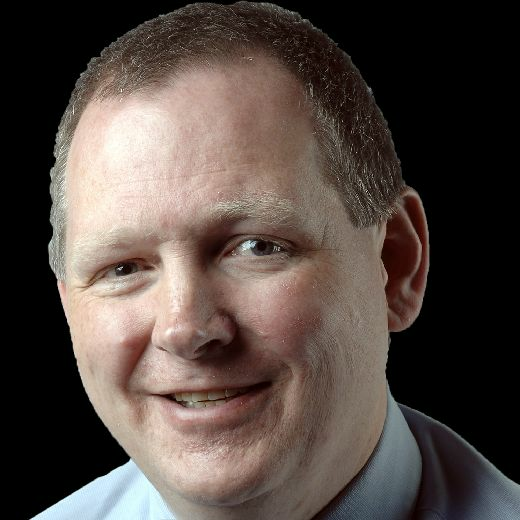 Trinity could end the regular Betfred Super League season in fifth place if they win at Huddersfield Giants tonight and Hull lose to visitors Hull KR. Last week’s 72-10 thrashing of Hull secured Trinity’s place in the Super-8s and left them just one point behind the East Yorkshire side and Arona insisted they have plenty to play for this evening. “The biggest challenge for us now is stepping up another gear,” he said. “The Giants are playing well, we’ve played them three times this year so far and they are up two-one. “It is definitely a big challenge, they have won eight of their last nine and they won’t want to take their foot off the pedal. Arona believes Trinity got their preparations and game plan spot on last week and will be looking to do the same again. They had lost their previous eight meetings with Hull and another defeat would have sent the race for the top-eight down to this weekend’s final round, but Arona said: “We all rose to the occasion. Joe Arundel could feature tonight after making his comeback from injury on dual-registration for Dewsbury Rams last week. Chris Annakin is also added to the players who beat Hull. Giants’ side will be selected from the 17 who won at Castleford Tigers last week, plus Matty English and Jake Wardle. Huddersfield Giants: from McGillvary, Cudjoe, Turner, Murphy, Gaskell, Brough, Lawrence, Hinchcliffe, Ferguson, Rankin, Roberts, Ta’ai, Clough, Smith, O’Brien, Mellor, McIntosh, English, Wardle. Wakefield Trinity: from Annakin, Arona, Arundel, Ashurst, Batchelor, Fifita, Hampshire, Hirst, Horo, Huby, Johnstone, Jones-Bishop, Jowitt, Lyne, Miller, Pauli, Randell, Tupou, Wood.